06/02/2018 – Kendrick Lamar releases the video to his latest single “All the stars” and it’s riddled with Igbo symbols. Most Igbo people will instantly be able to recognise the very familiar Igbo red cap (fez). 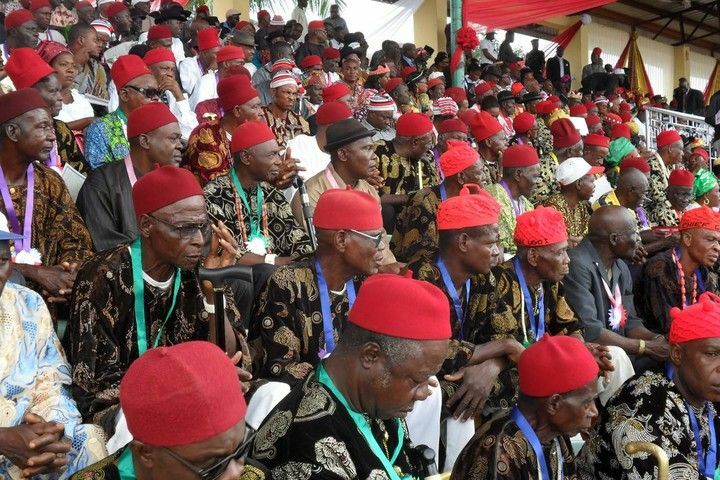 The “red cap” in Igboland is currently a symbol of authority, culture and tradition. Historically, some writers suggest it was introduced by the British during the colonial era, the red cap was given to chief wardens who were put in power during British colonial rule, this was a way to enforce rules since many Igbo clans didn’t have kings. However this is disputed by others who claim the felt red caps are a modern adaptation of historic caps made from palm tree fronds. Okpu – likely made with palm fronds similar to the ones that farmers used to wear. The golden graphical symbols displayed in the background as Kendrick walks through the room are heavily reminiscent of the Igbo/Ekpe Ukara cloth. Appears @3:01 in the All the Stars music video starring Kendrick Lamar and Sza. The Ekpe (leopard) society was a secret society present in southeastern Nigeria and western Cameroon among the Igbo, Efik, Oron and neighbours. The group also wrote using a pictographic writing script called the Nsibidi. This is often featured on many Ukara cloth patterns. 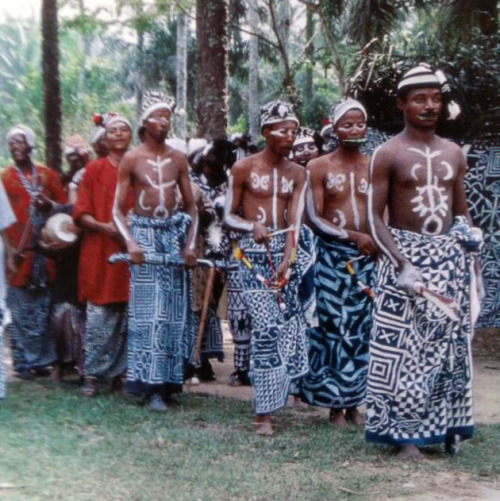 The Ekpe society would use ritual propitiation of forest spirits to ensure the well-being of the community and enforce laws. The CookOFF series features 2 contestants, each contestant chooses a dish they’re expert in cooking, after preparing the meal the judges give the contestants a mark out of 10 and a winner is announced. The 1st episode features Chimkasi’s yam porridge recipe which was given a solid rating of 9/10. Gini ka anyi ga eri? Basic dialogue between Chidera and her mother Amara. Nne, gini ka anyị ga-eri n’abalị taa? Mum, what will we eat tonight? Nwa m, anyị ga-eri akara. My child, we will eat akara. Mana, achoghi m akara. But, I don’t want akara. Ginikwanụ ka ị chọrọ iri? What (then)do you want to eat? Achọrọ m iri utara. I want to eat utara. So, What exactly is Arochukwu and what was the Aro confederacy? Arochukwu is a town situated in modern-day Abia State, an Igbo state located in south-eastern Nigeria. The town is positioned close to the waters of the bight of Biafra and the country Cameroon. Arochukwu is an important historic town in Igboland, it is the home of the Aro people, an Igbo subgroup that dominated south-eastern Nigeria throughout the 18th and 19th century. On Episode #5 of Okwu ID discussions, we talk about whether there is inequality amoung the treatment of siblings.